How to Survive A Long Tattoo Session? 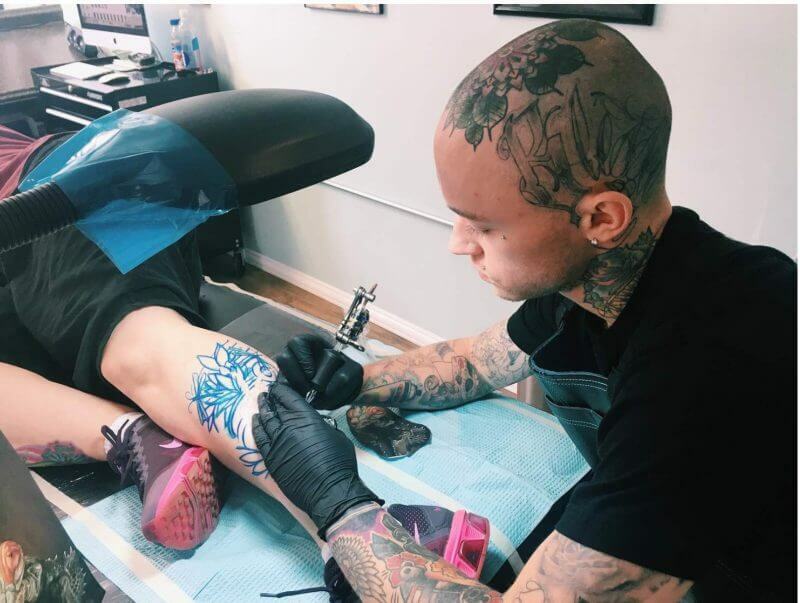 Getting a new, big tattoo is very exciting and definitely something to look forward to, but if you have never sat for longer than an hour, you should know that it is going to be painful. Although everyone has different thresholds for pain, let’s be honest, it is going to hurt. Worry not! Here are some things you can do to make your experience less painful. Thinking positive about your tattoo is essential. Start thinking about it in a positive way around a week or so before your appointment. Avoid negative thoughts as you could end up freaking yourself out. When getting tattooed, accept the physical discomfort in such a way that helps you stay calm and not nervous, stressed out, or tense. Not only your mind needs to be prepared for the pain but your body as well. Have a breakfast rich in nutrients to give your body the tools it needs to endure long hours of pain. Also, bring some snacks or drinks with you to consume during the session. In this way, you can keep your blood sugar levels up throughout the day. And, don’t forget to drink water! The last thing you want to do when getting tattooed is to be irritated or tired. This will only make the process more uncomfortable than it really is. A book, music, or even a movie will make your mind be elsewhere while getting your piece of art. The main idea is to focus on other things to avoid feeling the pain. Also, controlled breathing and keeping yourself relaxed will definitely help you get to the end! In sum, staying full and hydrated, sleeping well, and positive thinking will equip your body and mind to better endure the pain. Need a professional tattoo artist for your tattoo? Schedule an appointment with Mantra Tattoo & Pierciercing. We have the best tattooers in Colorado.